Few golf courses in the world can compete with the unique beauty of the Ocean Course at Hokuala Kaua’i, especially the oceanfront back nine. For one, this is golf on the Garden Isle, and very few islands come close to Kaua’i’s green splendor and scenic grandeur. But even by Kaua’i standards, this stretch of coastline is special. Facing the entrance to Nawiliwili Bay and a low range of green mountains, the Ocean Course spends much of its time meandering around a lagoon and through mango groves and parkland. Then, after 12 holes of tantalizing views, you dramatically reach the ocean’s edge on the 13th tee. 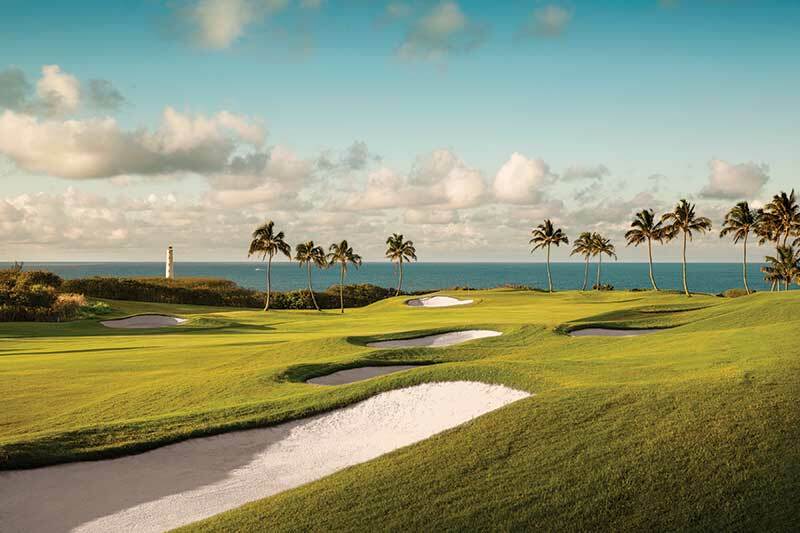 What follows is the longest stretch of oceanside golf in the state of Hawaii. By the time you sink your putt on the 18th, you’ll be ready to play it all over again. And the course is only getting better, thanks to a recent multi-million dollar renovation by Timbers Resorts. Designed by Jack Nicklaus in 1988 (and formerly known as Kauai Lagoons), the course underwent significant renovations last year to make it even better than before. Timbers Resorts started by improving the greens on the front nine to give the course a consistent putting surface for all 18 holes. Then, the drainage was improved for every bunker, and new, white-silica sand was added, replacing the old sand. Under the guidance of the Golden Bear himself, Jack Nicklaus, some of the bunkers were removed entirely to make the course more enjoyable to play. Further enhancements included a redesigned practice facility — now with two large grass tee areas and 10 target greens — and an improved maintenance facility to keep the course in world-class shape year-round. A new clubhouse will be built later in the year, and will afford Owners at Timbers Kauai – Ocean Club & Residences and the golf-playing public with beautiful views of the lagoon as well as indoor/outdoor dining. 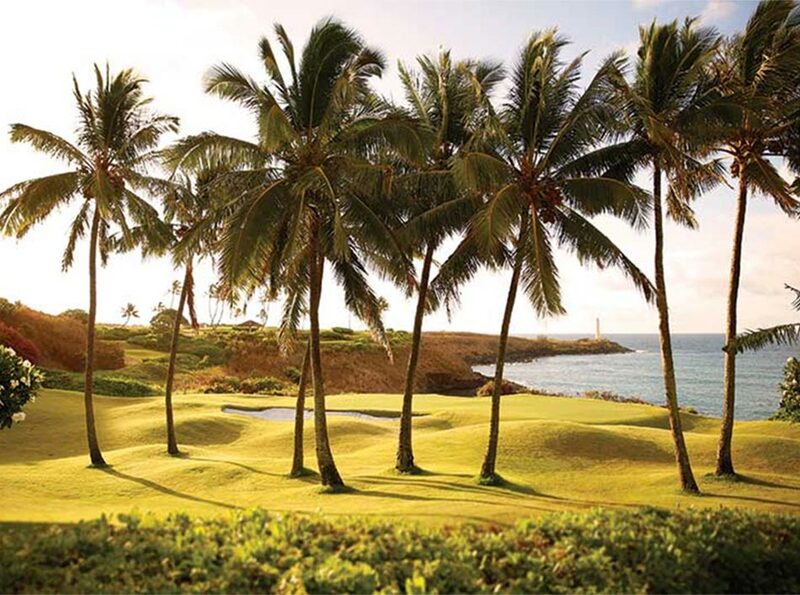 As for Timbers Kauai Owners, they will be able to take advantage of exclusive privileges at the golf course, including a private practice area and preferential tee times. 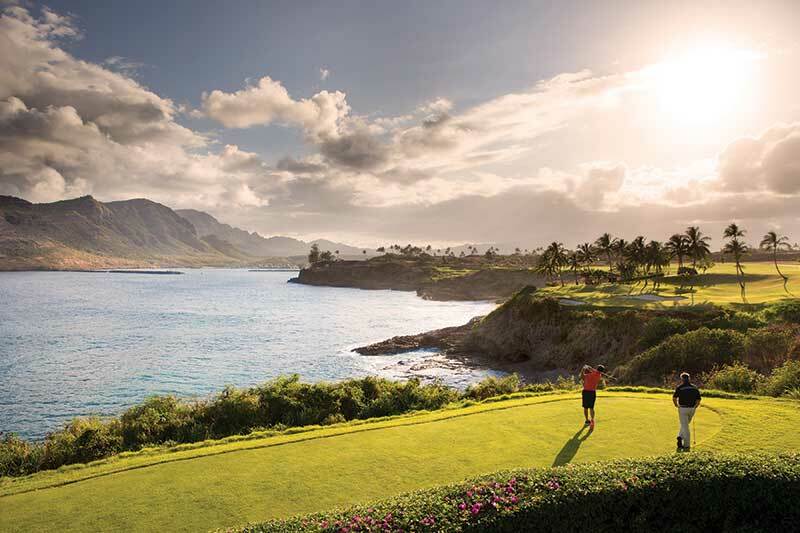 But even with all of these upgrades, the real reason to play the Ocean Course at Hokuala remains the magic of Kaua’’i. Whale-watching while you golf? Indeed, very few courses in the world compare with the Ocean Course at Hokuala. To learn more about the Ocean Course at Hokuala — or owning a part of paradise with our private residence club — visit the Hokuala Kaua’i website.